This was the “Big Mushroom” off the Taiwanese coast. 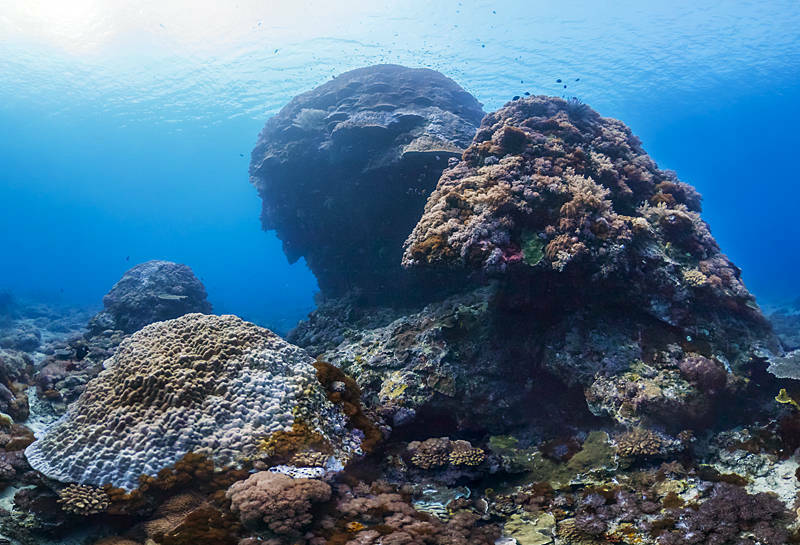 The 12 metre high coral structure is considered one of the worlds most iconic ocean dive sites. Despite surviving being struck twice by submarines this 1000 year old life form has now been toppled by Typhoon Meranti. This is one of 6 dives from the waters around Taiwan which I have been working on recently to get into Google Streetview. These images are a result of a collaboration between Panedia, The Ocean Agency and the XL Catlin Seaview Survey. Although I don’t do the Photography I always enjoy working on these beautiful images in Photoshop.